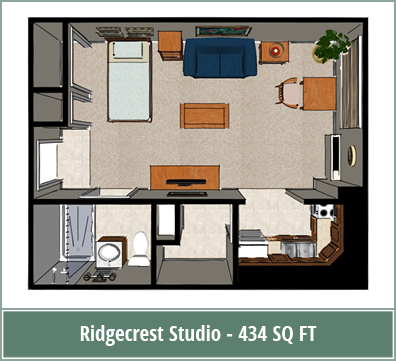 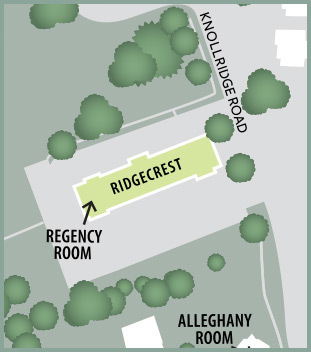 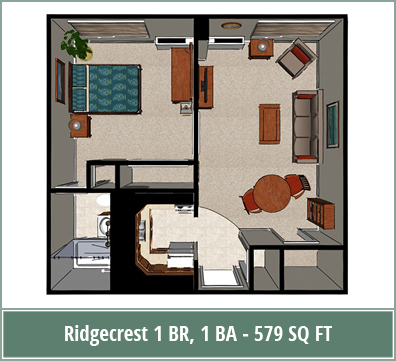 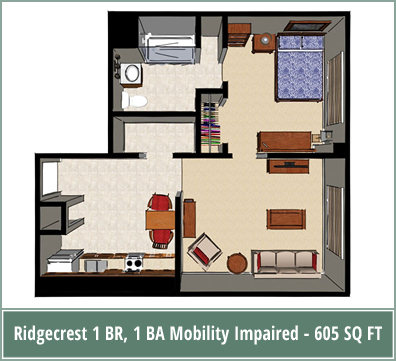 Ridgecrest Apartments offers an affordable, subsidized living option for income-qualified adults 62 and over. 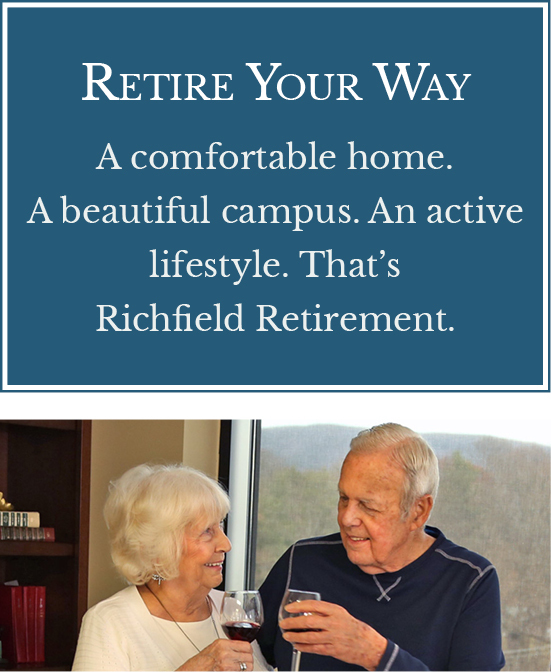 These senior living apartments are federally subsidized and monthly rent is based on income, assets and medical expenses. 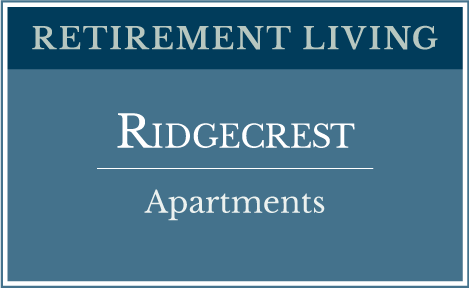 Rest assured, at Ridgecrest Apartments you’ll find more than just a senior living apartment to suit your needs. 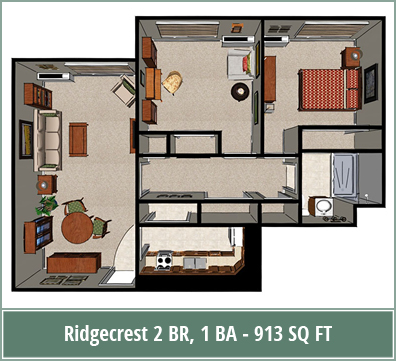 You’ll be welcomed into an engaging and supportive community of people.